Madison County Memorial Hospital (MCMH) is a 25-bed, not-for-profit Critical Access Hospital (CAH), providing acute care, swing bed, emergency medicine, rehabilitation therapies, imaging, lab, and endoscopy services to the residents of Madison, Florida and surrounding communities since 1937. In July 2010 the board of directors changed the organizational values of the hospital to “Faith, Family, and History.” The design of the new hospital is based on a desire to provide a place for patients that feels like home; a place where family will feel relaxed and cared for. Eric Shell, Director, and Matt Mendez, Consultant, with Stroudwater Associates, worked with MCMH in 2016, through the Small Rural Hospital Transition (SRHT) project, on a Financial Operational Assessment (FOA). 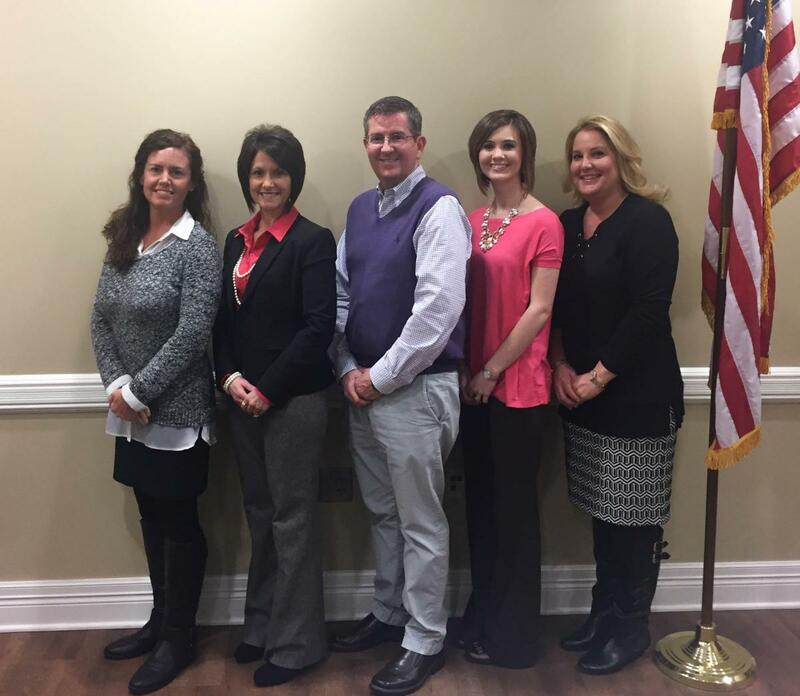 RHI staff spoke with Tammy Stevens, CEO; Patrick McGee, CFO; Cynthia Coulter, CNO; Cindi Burnett, HR Officer; Zack Nicholson, Quality Manager; Sandy Fletcher, Financial Analyst/Interim Business Office Manager and Crystal Lee, Admin and Clinical Liaison, concerning their progress on this project. A: While MCMH was quite humble, they have made an enormous amount of progress in a very short time. Concerning primary care alignment, they focus on physician engagement, primary care network development, physician recruitment and physician/provider education. A current employee was selected to act as a liaison to engage relationships between providers, hospitals and the community. They are actively looking at ways to bring in specialists including orthopedics and gastrointestinal; and Florida State University (FSU) family practice faculty is interested in partnering to provide access to care in the county and the hospital is actively pursuing space to accommodate the interest. Concerning business office processes, they recently had a charge master review and all of the recommendations are complete. Once the 2016 cost report is complete, they will do a pricing analysis. They reviewed 3rd party contracts, finalized contracts for two major carriers for swing bed, and will be addressing a third carrier soon. Revenue cycle management (RCM) improvements are well underway. A first task was to establish key performance improvements (KPIs) and use the measure to drive the RCM process. They are focusing to reduce Days in Accounts Receivable (AR) to a goal of 65 and have decreased them from pre-project 140 days to 115. They have increased cash on hand from 30 to 45 days and decreased salaries to net patient revenue from 57% to 41%. Another focus has been to establish an early-out program. An early-out program was established and for the past four months, they have seen this positively affect Days in AR. In addition, the community now comes to the hospital for services with a new mindset of paying copays, deductibles, etc. toward their bill. In 2016, MCMH received the Hometown Health Award for Revenue Integrity Standards and Accreditation for Healthcare (RISAH). MCMH is expecting to receive the award of excellence for year two accreditation as well in 2017. RISAH Accreditation shows that a hospital has strengthened the revenue cycle knowledge base and practice of rural hospitals in an ever-changing reimbursement environment by identifying best practice standards and methods of measurement. In the emergency department (ED), the patient access team is addressing issues that impact patient flow. They are working with ED providers to consistently address non-emergent patients to collect co-pays and they continue to educate providers/the community concerning the use of the ED and other options. After collecting supporting data, they have decided to extend hours for registration staff to be onsite to address payment issues. To expand outpatient services, MCMH has created necessary clinical and financial pieces to begin providing services for the outpatient rehab patients. To improve the community’s awareness of service lines, they developed marketing brochures for the respiratory and laboratory departments and will be visiting providers and groups in the community. Recently they met with a pulmonary outpatient provider to discuss ways they can collaborate and are hoping to staff a phlebotomist in a local nursing home. They are presently considering whether to begin offering mobile MRI. Knowing that their workforce is one of the drivers of success for the future, they focus on employee education, recruitment and retention. They were recently able to grant employees (that had not received a pay increase through alignment with coworkers or promotion) with 5 years of service or greater a 3% cost of living increase. They are using new strategies to recruit respiratory therapists from surrounding counties. MCMH works diligently to strengthen their quality culture. To increase feedback from patients and to positively impact transition of care, the leadership rounds with patients and make follow-up phone calls post-discharge and patients are encouraged to provide feedback to the hospital through the HCAHPS vendor. Whiteboards for patient rooms have been ordered, daily huddles with care management to address issues are conducted and the team continues to focus on consistency in all they do to impact the patient experience. Through a grant, the hospital had a care coach to work with discharged patients at their homes and out of 71 patients, there were only two patient readmissions. Lastly, MCMH is focusing on leadership development of their managers and their knowledge of accounting processes in their departments. Knowing that this was a new area of development, the CFO is meeting individually with each manager to educate them on budget, accounting terminology and ways to manage vendor contracts relating to equipment and services. Next steps will include assessing ways the managers can impact departmental expenses. To stay laser focused on the FOA project and recommendations, monthly management meetings include a review of the action plan, discussion on what is going well, and what the hospital’s next steps should be.